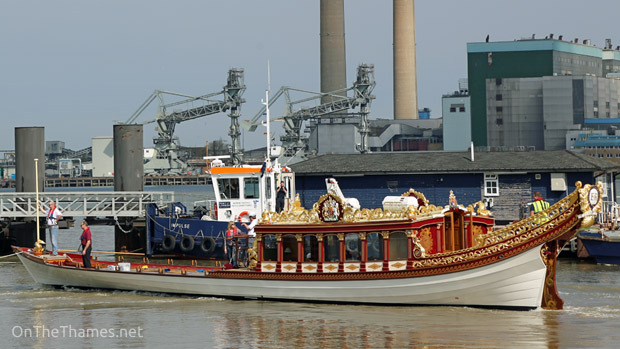 THE QUEEN's row barge Gloriana has re-entered the Thames for her 2014 season. 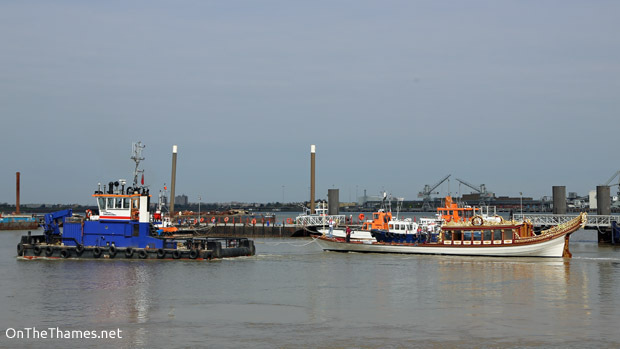 Her return to the river at Denton, Gravesend, comes four months after she was taken out of the water for winter storage. 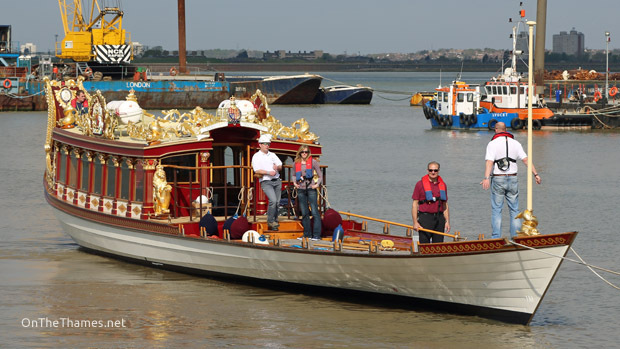 The beautiful row barge, managed by Thames Alive, was created for the Queen's Diamond Jubilee in 2012 and is now a popular sight at regattas and events on the Thames. 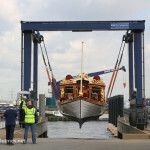 After being lowered back in to the river on Friday morning, she was taken up to Chelsea under tow from SHAKEDOG. 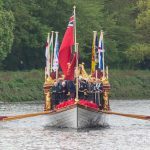 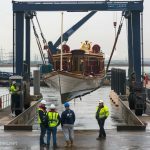 One of GLORIANA's first duties will be to carry King George I to Hampton Court Palace across the easter weekend for the attraction's Glorious Georges season. 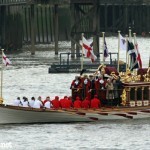 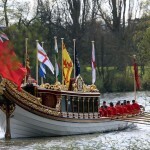 On May 11th, she can be seen in the annual Tudor Pull between Hampton Court Palace and the Tower of London.